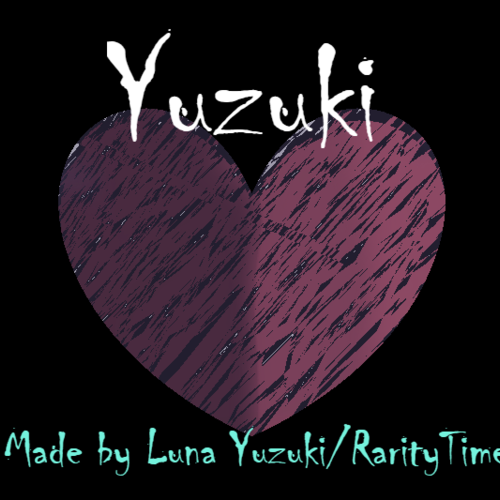 I am starting to make a little webseries under the name of ‘Yuzuki’. It’ll be a webseries only available to either Newgrounds or YouTube, or both. The webseries will follow of Yuzuki, a girl who is the leader of a small business who ‘helps’ children and teenagers with their home problems such as teenage pregnancy, divorce, abuse, house problems. Yuzuki would then request the client to sign a contract, revealing the most sinister thing about herself. 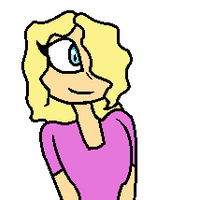 Rarity Bleu is mostly your average teenager: Plays video games, unsure of her sexuality, loves YouTube. Even when she has a lot to thank for, she has two differences from being a normal teenager: She works for Yuzuki, a girl with a confusing past and thanks to her, she can mature way more than she ever was. She's the comedic one in the series and she breaks the forth wall a lot in the series. She's funny, quirky, lovable, but she can be short tempered, brash and overdramatic. Her voice should be a mix of Twilight Sparkle from My Little Pony Generation 4 and Amy Rose from Sonic X.
I can’t take it! My back has been crippled from this baby, I don’t like broccoli anymore, and I can’t take the kicks from my baby! Worst of all, the one behind it all was unknown! He made sure I couldn’t see when he made me lose it and everything’s falling apart! *is quite cross* I'm very sorry, but I don't have any money on me. Why ask me for the money when your mother is across the room. Plus, I don't think this audition will give you money. *is very happy* My dear, of course you can go see my boss! She is just in that room over there! Alexandra is a 21 year old woman who's parents have divorced. She is very sarcastic, but very cocky and is pretty brash. Her voice should be a little more manly, but still mix with a feminine voice. Apart from that, have fun with making a voice for her! *sarcastic* You drew a picture? Oh woopie doo! *turns serious* I made an animation that went viral. *Is very stressed* Thing is that my mum and dad just divorced and I'm not sure if I'm the reason for it all. I just feel insecure and unsure and not so confident. *is very happy* For me? You bought me this flower bouquet for me? Thank you! The Devil is a man from hell. 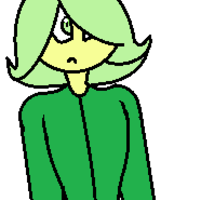 He's the alter ego of Yuzuki. He's pretty chaotic and can be a bit of a discord. He's also quite lazy and doesn't really do anything else but slouch on the couch in Hell and causes havoc both in and out of Hell. 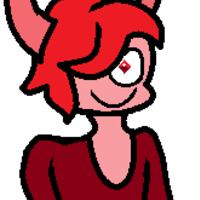 (You think about smiling evilly so you can get into the mood of The Devil) Hello there. What brings you to Hell? *confused* You want to go back up to the surface? *turns confident* Well, I've always wanted to go back to cause havoc across the Earth. Maybe I can make a deal? (smile evilly) *chuckles* So, do we have a deal?